Bunnies can be a little messy, especially when there is nothing in the house to keep them busy. 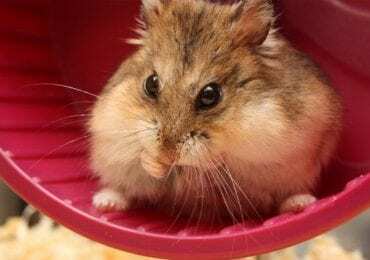 If you are looking for a way to keep your rabbit from chewing your carpet and other valuables, choose one of these best bunny toys, rattles, and balls. Before settling for one or multiple toy rattles and balls, you must ensure that they are made of the best quality material, they are durable and safe, and the price tag is just right. 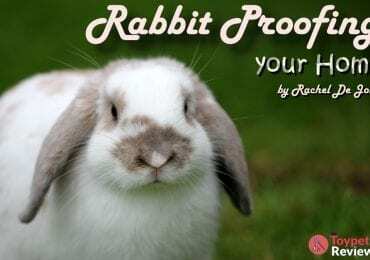 This review will help you avoid making mistakes and find the right toy that is both safe and entertaining for your bunny. 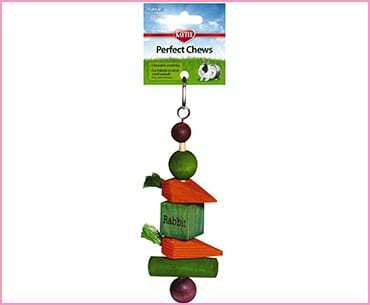 This is one of the best bunny toys on the market for heavy chewers. Rabbits love grass things, and this one will keep it busy for some time. 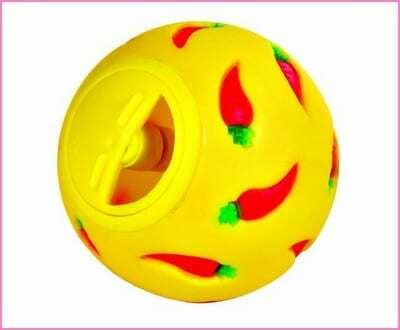 This type of ball with a bell will make your bunny develop the curiosity to find out where the noises are coming from. The bell will increase the fun of playing with this toy, and it will also spare your items from getting chewed on. If your pet loves to chew things, this toy may not last long, as they will chew off the grass within a short period of time. Some bunnies might not be interested in it. 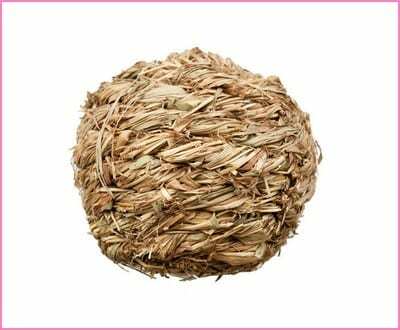 Extremely similar to the previous toy, this grass play ball is perfect for a bunny that enjoys chewing all day long. It is made of natural grass, so it is completely safe to eat, but it is also entertaining in itself. Basically, it is both a tasty treat and a toy in one. One of the reasons that these toys can be interesting for your rabbit is their bright colors. Rabbits will tend to arrange the wooden toys according to color, something that will engage them even more. Additionally, these toys are made of a hard wooden material to ensure the rabbits cannot bite them off, which makes them safe and convenient. Some bunnies might destroy these toys. Note: This toy is no longer available on Amazon, but the next entry is extremely similar, so make sure to check that out! One of the best bunny toys on the market are rattles made up of different colored pieces of wood. This is exactly what this product is: a chew toy for bunnies to devour. This toy is made up of a wood log, wood balls, a block, and wood carrots, all in shades of green, orange, and purple. The toy also comes with a metal hook that you can use to attach it to your bunny’s cage. 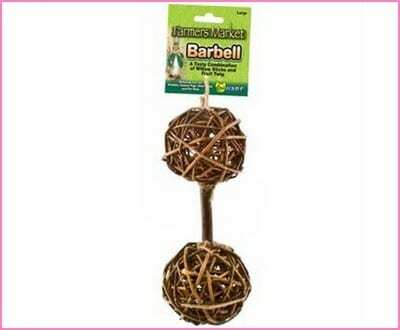 This is probably one of the best bunny toys for rabbits that prefer balls. Your bunny will not only enjoy tossing it around, but it will also find pleasure in the food supply from the toy. With this type of toy, you ensure that the rabbit will be happy, entertained, and motivated to stay on it for as long as it will take. However, when you are choosing the toy, make sure you pick the right one that is specifically designed for rabbits, since you can also find the same make for cats and dogs, which are not suitable. 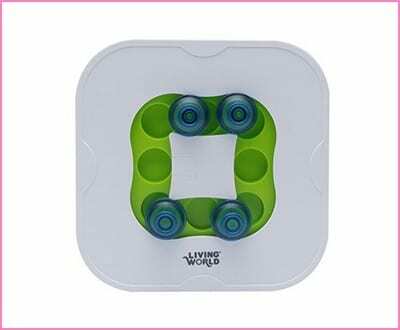 You can adjust the opening of this toy to ensure the supply of food is minimized and avoid waste. 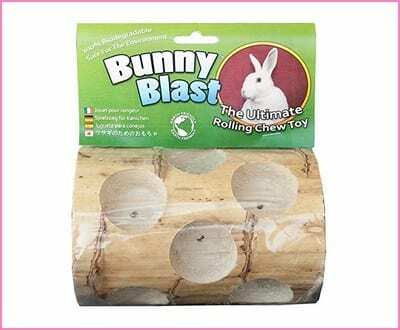 If you have been experiencing issues trying to stop your rabbits from eating other materials in the house, you can consider including buying these bunny toys for them. They create a good distraction, hence preventing rabbits from even looking at your valuables. 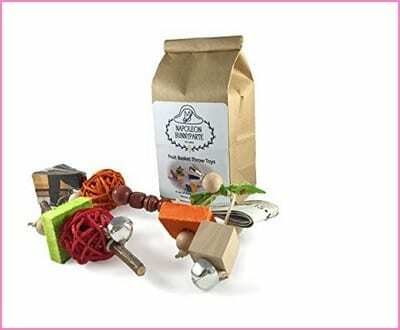 These toys are made with bells, which make them more engaging for your pet. Additionally, the design of these toys makes them more playful, as the rabbit can easily pick and toss them around. What makes this one rank among the best bunny toys on the market is its incredible price. For only a few dollars, you can give your pet the best treat ever. 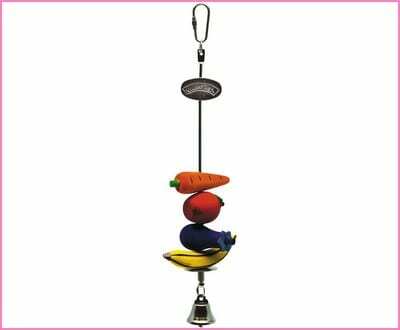 On this toy, you can find a perfect feeding spot for your rabbit, as you can hang vegetables and other foods for your pet. 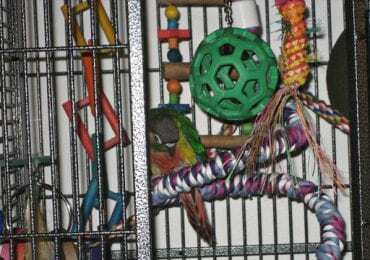 Additionally, you can screw together several toys to ensure your pet will not outgrow it. The material used in this toy is high-tech for longevity, and it will provide an excellent activity toy for your bunny. The toy is very tough and resistant to wear and tear. The rattle design also makes it more fun, and your bunny might not let it go of it for quite some time. 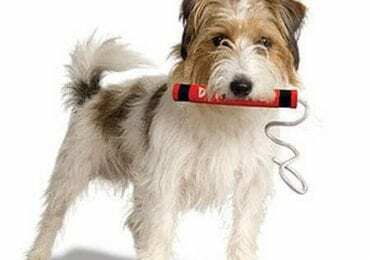 Also, the material guarantees safety for your pet, which will give you peace of mind as the pet is playing in your absence. The compact design and the carrot shape are worth considering. 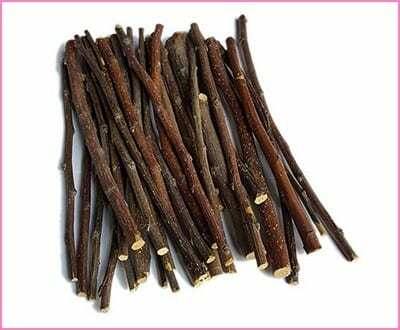 These 100% natural apple tree branches are entertaining and healthy for consumption. They have a natural apple tree branch color that intrigues your bunnies. They help your pet’s teeth grow healthy and to the right size. This is the perfect toy for your bunny because it is 100% biodegradable and, thus, healthy for your pet and the environment too. 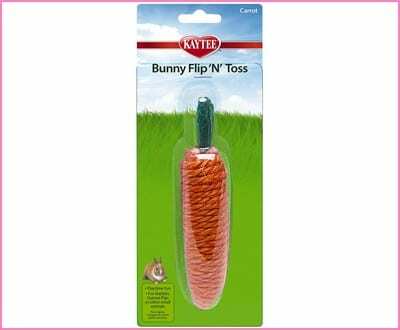 It is all-natural, so you rest assured you are offering your pet one of the best bunny toys on the market. Your bunny can roll this toy around the house and chew on it all day long. Bunnies love it when they make noise in their space. Providing them with balls that have bell toys in them is the best investment for you. They will keep the bunnies engaged all day, therefore, minimizing the chances of them destroying anything in the house. Additionally, they are made of a durable plastic and wire material to ensure your bunnies enjoy chewing and tossing them around for a long time. This toy is number one on our list of best bunny toys. 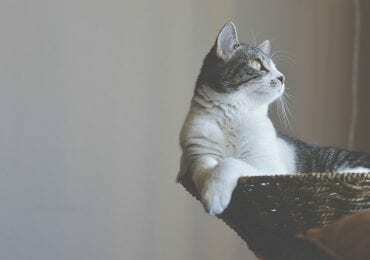 It helps to establish the IQ level of your pet. 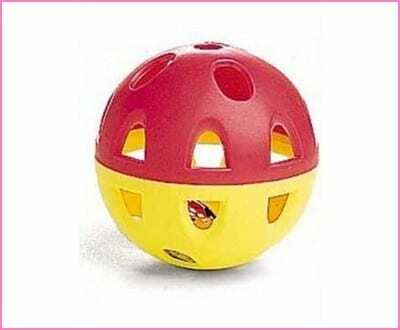 You can use this toy to hide in some treats for your bunny and leave it up to your pet to find a way to access them. Although some rabbits will not enjoy playing with this toy, you will be able to measure how smart your pet is. If you understand your bunny well, make sure you invest into something that will keep him engaged and happy all day long. Additionally, pay attention to the type of selections you make, since the market is full of similar toys for different pets that may not be suitable for your bunny. 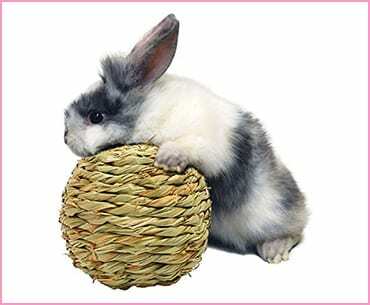 The guide above will be helpful in the selection of the best bunny toys, rattles, and balls for your rabbit. If you have other suggestions of bunny toys, leave them in a comment below.